We have more than 65 years of combined bench talent in our shop. 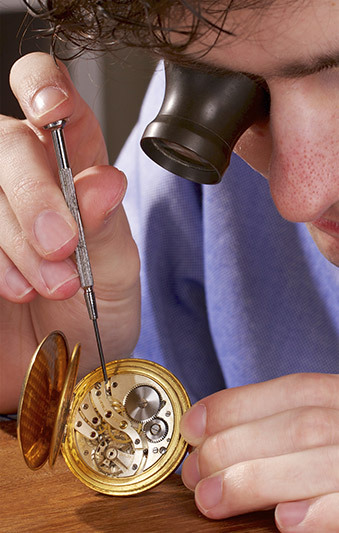 We can repair your jewelry on the premises — so your jewelry never has to leave the store, which keeps it safe. We use the latest tools and technology in our state-of-the-art repair shop, helping us get your jewelry back to you as quickly as possible. We can repair all types jewelry — even if it wasn’t purchased at Bergstrom Studio. All repair work begins with a FREE estimate. Stop by Bergstrom Studio to learn how we can help you care for your jewelry and preserve its value for years to come.